The Cost of a Website: How Much Does a Website Cost in 2018? The cost of designing a website can vary wildly, from totally free, to thousands of dollars. The amount you spend will very much depend on the type of site you want to create and the platform you use. In this guide to the cost of a website, we will discuss the numerous web design options and tools available, and the price that using each entails. We will consider the cost involved using some of the top website builders like Wix, Weebly, and Squarespace. And we will then look in-depth at the various key elements necessary for creating a successful WordPress website, and break down the costs. By the end of reading, you will have a good understanding of what features and functionalities the different solutions offer, and the prices involved in building and running a website with each. Wix is a popular all-in-one website builder that enables its users to easily create websites. Wix is extremely user-friendly, and a website can be created within a matter of minutes using its Artificial Design Intelligence (ADI) tool, or the drag-and-drop Wix Editor. To get started with Wix, you simply select a template and start customizing. Templates cover a wide assortment of niches, from blogging to eCommerce, ensuring that whatever your industry, there is a template for you. There is also the option of designing your own site from scratch using a blank template, helping Wix to cater for the needs of beginners through to those with web design experience. Wix also provides a number of free and premium apps that ycan add extra functionality to your site. As you can see, Wix is a feature-rich solution. But how much will it cost you? The Wix free plan enables you to create a website using one of the many Wix templates (all Wix templates are free) and the Wix ADI tool or the Wix Editor. All hosting, maintenance, and site security is taken care of, and you can also access Wix support, the free apps, and more. You cannot connect or purchase your own domain, you are only entitled to use a Wix subdomain, that will look something like this ‘mysitename’.wix.com. Bandwidth and Storage are limited. Wix ads will be displayed on your website. Creating an eCommerce site is not an option on the free plan. Using the free version of Wix is, therefore, not an option for serious businesses or entrepreneurs. However, if you are looking to create a simple blog, or want to try out Wix with the idea of upgrading to one of its premium packages down the line, then the free plan is a great place to start. However, your website will still display Wix ads. It is also worth noting that if you opt to pay monthly, instead of yearly, the price will rise to $7 a month. 2GB Bandwidth and 3GB Storage. This plan will cost you $10 a month if billed annually, or $14 billed monthly. Form Builder App and Site Booster App – Joint Value of $100+. As with all the plans, Unlimited is cheapest if purchased as a yearly plan. If you pay monthly, the price will rise to $16. This plan is best for any small business looking to run an eCommerce store. As well as all the features included in the Unlimited plan, the eCommerce plan allows you to create and manage an eCommerce store, providing all the extra necessary features that eCommerce demands. This plan will cost you $20 a month if you opt to pay a monthly subscription. The VIP plan is promoted using the tagline ‘Everything and More’. As well as 20GB of storage, also incorporated in this plan are up to ten email campaigns a month and a professional site review by a Wix expert. This plan caters for big businesses, and will cost you up to $30 a month if you choose to pay on a monthly basis. Domain Name – All the Wix plans (excluding the free and Connect Domain options) provide a year’s free domain name. However, after that you will need to pay a yearly fee for your domain name costing a minimum of $14.95. If you intend to run your website for more than two years then it may be cheaper to purchase your domain from a third party provider (we will cover these costs later on in the article). Payment Gateway Transaction Fees – If you are running an eCommerce store you will need to pay transaction fees to your payment gateway provider (fees vary depending on the provider you use, and the countries and currencies you sell in). Apps and Tools – Wix provides a number of premium apps and tools that are not included in any of the monthly plans. These vary in price, with some costing from as little as $2.99 (one-off payment), and others charging a monthly subscription. As you can see, Wix offers a range of pricing possibilities. Depending on your needs, a Wix website could cost anything between $0 and $360+ a year. However, if you are intending to run your website indefinitely, these higher premium monthly payment plans can quickly add up. Total Cost of a Website Using Wix: Between $0 and $360+ a Year. 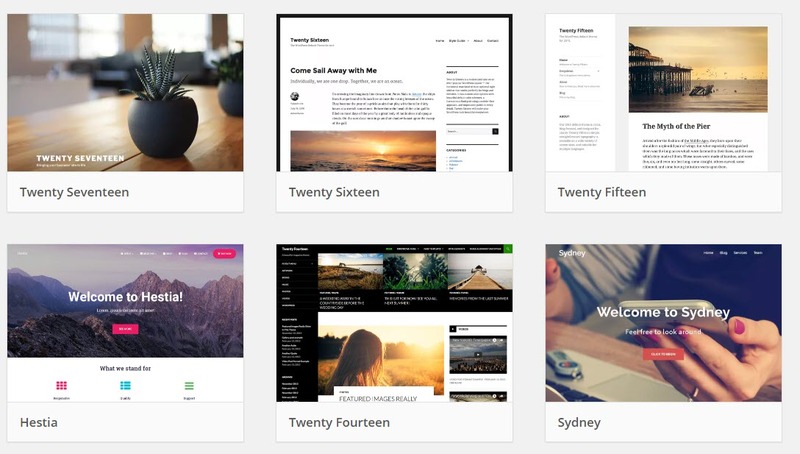 Weebly is another all-in-one website builder. This platform will enable you to design a stunning website, whether you are looking to start a blog, create a business or portfolio site, or run an events or eCommerce website. Weebly is a hosted solution, so all the technical side of running a website is taken care of for you. This includes security, hosting, maintenance, and more. 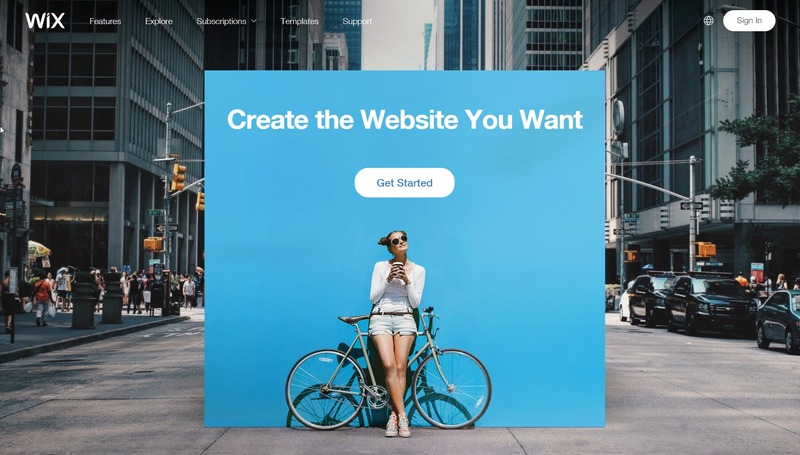 Weebly sites are created using Weebly’s stylish and highly optimized themes, that can then be configured using the drag-and-drop website builder. This makes creating a website a fast and fun process, making it a great tool for beginners, as well as those with more experience. The drag-and-drop website builder ensures you don’t need to touch a line of code. Complete eCommerce solution, including product inventory management, order tracking, real-time shipping, and much more. Built-in marketing tools, including SEO and email marketing features. Choose from over 200 apps to add advanced functionality to your site. Evidently, Weebly and Wix present a similar set-up. But how does it compare on price – how much is the cost of a website using Weebly? If you opt to use the free version of Weebly, you still get access to its impressive drag-and-drop builder, numerous themes, and the Weebly knowledge base as well as chat and email support. Your website will also be optimized for the search engines and have an SSL certificate to help keep your site safe and secure. Your website is only entitled to a sub-domain (‘yourwebsitename’.Weebly.com). Weebly will display their ads on your website. You have a limit of 500MB of storage. Although this is a great deal for small blogs and projects, if you want to create a reputable business, you will need to upgrade to a premium plan to give your site more credibility. One Year Free Domain Name (if you register your domain through Weebly). Unfortunately, Weebly ads will still be displayed on your site with this plan. Weebly payments are only available on a yearly subscription, but the Connect plan works out at $5 a month. This premium plan will cost you $96 annually, which works out as $8 a month. This plan is a good option for small companies who are looking to grow their business, costing $144 a year. This is a great option if your main business is eCommerce and you want to sell numerous products on your site. This plan provides the extras you may need to grow your business or eCommerce store. From email marketing campaigns to abandoned shopping cart emails, opting for this Performance plan will give you the tools to re-connect with your audience once they have left your site. Domain Name – Although your first year is free, after that Weebly charges $19.95 a year to re-register your domain. This price does go down if you pay for more than one consecutive year (for example, $14.95 per year for five years). However, if you really want to save money on a domain, buy it through a third party provider. Themes – Although the Weebly themes are free, you can purchase third-party themes from theme shops and private developers. Third-party themes for Weebly are generally quite cheap, usually costing between $20 – $40. Weebly Promote – This is an opt-in email marketing service that will cost anywhere between $8 and $75 a year, depending on the number of email campaigns you want to send. Weebly Apps – Weebly offers a range of free and premium apps. These can cost anything from $4.99 a month upwards. The top end Weebly plans do work out as a bit more expensive than the Wix plans. However, the lower-end plans, that are comparable with the Wix lower-end plans, work out as a better deal. Ultimately, if you are looking to design a website using an all-in-one website builder, you need to look carefully at both the Wix and Weebly plans and choose the one that best fits your needs. Total Cost of a Website Using Weebly: Between $0 and $450+ a Year. Before we move on to open source software, we will check out one more website builder – Squarespace…. 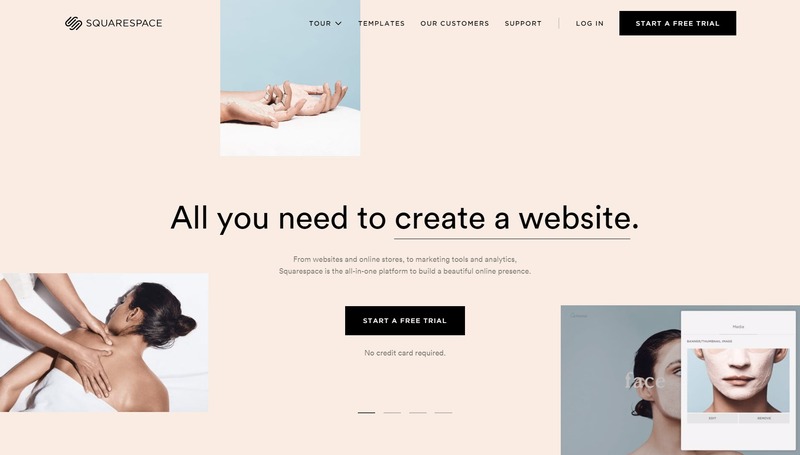 A personal favorite of mine in the all-in-one website builder sphere, Squarespace offers a slightly more upmarket and advanced service than Wix or Weebly. However, its price tag reflects this. Squarespace is a fully hosted solution that gives you everything you need to run your own business. This powerful platform has an array of award-winning templates, helping your site stand out in any industry. And all templates can be quickly customized using the Squarespace drag-and-drop builder. Unlimited Hosting (No limit on bandwidth or storage, whatever your Squarespace package). Fast Content Delivery and Reliable Uptime (with global CDN and DNS partners). Built-In Integrations with Google Drive, Adobe Creative Suite, and many more. Third Party Integrations (including Google Ad Sense, Etsy, Eventbrite, and more). Evidently, Squarespace is a feature-rich product. So how much is the cost of a website with this solution? Unlike Wix and Weebly, Squarespace doesn’t offer a free version – this is a premium product only. However, there is a 14-day free trial that you can opt into, enabling you to check out the platform and see if it is for you. All templates, access to the drag-and-drop editor, unlimited storage and bandwidth as well as an SSL certificate. Unlimited pages, galleries, and blogs. Free Custom Domain (for the first year). In the same style as Wix, Squarespace provides a cheaper monthly rate if you pay annually ($12 a month billed annually). If you decide to opt for a monthly subscription this Personal plan will cost you $16 a month. Fully integrated eCommerce (3% Transaction Fees). Professional Email Address from Google (free for the first year). This plan will cost $18 a month billed annually, or $26 if you decide to pay monthly. This plan is $26 a month billed annually or $30 on a monthly subscription. 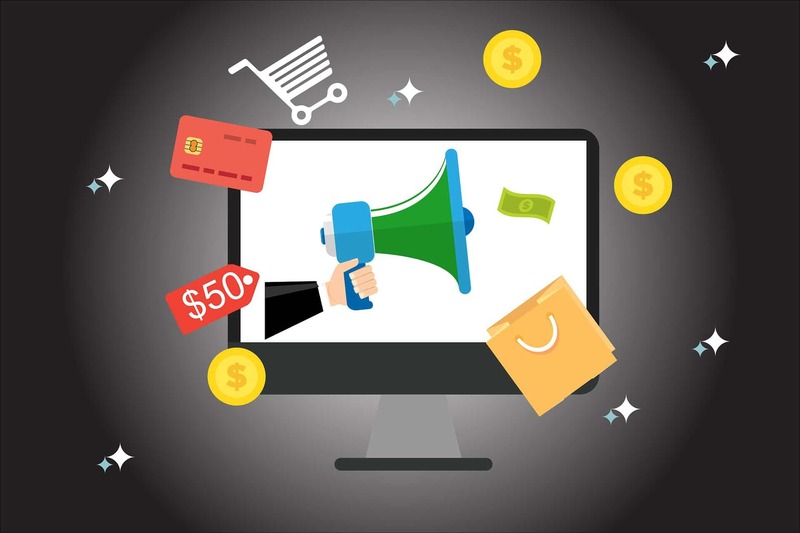 The Advanced eCommerce plan is a great choice for large online stores, as the advanced tools and features offered will help you connect with your customers, make sales, and grow your business. From real-time shipping to gift cards and flexible discounts, this plan has all the eCommerce extras you will need. (Price varies from $40 to $46, depending on your payment selection). So now we know what Squarespace will cost you on a monthly basis. But what about those extras that you may need to also pay out for? Transaction Fees – If you select the Business plan, you will be charged a 3% fee on transactions. If you integrate your store with a third-party payment gateway, like PayPal or Stripe, their own transaction charges will apply. Domain Name – Squarespace offers a free domain for the first year. After that a domain with Squarespace will cost between $20 – $70 a year, depending on the domain’s TLD. Integrations – Most integrations are included in the packages. However, some services like Xero, G Suite by Google, certain MailChimp plans, and more, are paid subscriptions. Although there are many more website builder solutions available, Wix, Weebly, and Squarespace are three of the most popular. And importantly, they give you a good idea of what is on offer and how much it will cost you, if you decide to go down the route of an all-in-one website builder service. Total Cost of a Website Using Squarespace: Between $144 and $550+ a year. WordPress.org (not to be confused with WordPress.com) is a totally free content management system that will enable you to create a website to your exact specifications. Customization – WordPress gives you total control over the customization of your website. Whether you want to code your website, use a live Customizer, tweak the Theme Panel, or install a page builder, using WordPress you can design unique websites. Ownership of Your Site – WordPress is self-hosted, meaning that you own your site and no one can take it away from you. Thousands of WordPress Products and Services – From themes and plugins, to a range of other services and tools, there are thousands of free and premium products you can use on your website to help add any extra functionality you may need. WordPress Community – If you have any problems or questions, a thriving WordPress community, spread across the globe, is always on hand to help. As you can see, WordPress is an impressive solution, and it is no surprise that over 31% of websites worldwide are powered by it. But, the question is, of course, how much is the cost of a website with WordPress? As mentioned, there are thousands of WordPress products and services, both free and premium, that you can install on your website to add extra functionality. These are usually available in both free and premium versions, and if you opt to purchase some of these tools or services, the price of your website can add up. There are also WordPress experts that you can employ to help you with the design, content, and maintenance of your site. We will now consider each of these above points in detail to give you a break down of the cost of a website with WordPress. The price of a domain name can differ greatly depending on the registrar and the TLD. For most basic domain names, an annual price of around $12 is a reasonable amount to expect to pay. However, you can also get a domain name for free if you purchase it with certain hosting packages. Domain names can also rise dramatically in price. If you want to purchase a popular domain, the initial payment could cost you. For example, 360.com was sold in 2015 for $17 million. And that is cheap compared to some! NameCheap is the go-to registrar if you are looking to purchase a stand-alone domain name. At the time of publishing this article, .net domain names were as cheap as $0.88 a year. However, for a .com, .net, or .org domain name, you are looking at paying around $10-$12 a year. To check out other domain name registrars, check out our article on The Best Domain Name Registrars. Bluehost – Free domain, SSL certificate and 24/7 support included with hosting, from $2.95 a month. InMotionHosting – Free domain, unlimited bandwidth and disk space, as well as free SSL, from $3.99 a month. Hostgator – One website, free domain, free web builder, free emails from $3 a month. Cost of a Domain Name: Between $0 (with a premium hosting plan) and millions. But most basic domains will cost a monthly fee of around $10-12. Like domain names, the price of hosting can also greatly differ in price. However, with hosting you get what you pay for. Therefore, it is often worth choosing a slightly more expensive plan than one of the many budget hosting offers that are available. Shared Hosting – When multiple sites are hosted together on the same server. This is lower tiered hosting that caters for new or small websites. If you don’t need powerful hosting options and don’t want to spend a fortune on hosting your website, then shared hosting is for you. Virtual Private Server (VPS) – The next step up in terms of price and hosting service. A VPS mimics individual servers, but it is based on one shared server. This gives you greater control over your hosting resources, but still keeps the cost reasonably low. Dedicated Hosting – When you exclusively rent the whole server, which provides high performance, speed, and uptime for your website. This is high tiered hosting, and it will cost you. Managed WordPress Hosting – Many WordPress website owners choose to opt for WordPress specific hosting. This will give you extra WordPress support, and ensure your hosting is a best-fit for your WordPress website. Mentioned earlier, Bluehost is a cheap, but an extremely, viable hosting company. Powering over two million websites worldwide, it offers a 30-day money back guarantee and 24/7 support. Importantly, it also provides a one-click WordPress install, making website set up quick and easy. Shared Hosting – From $2.95 to $5.95 a month. VPS Hosting – From $19.99 to $59.99 a month. Dedicated Hosting – From $79.99 to $119.99 a month. WordPress Hosting – From $2.95 to $49.99 a month. Other Bluehost packages include Cloud hosting and dedicated WordPress eCommerce hosting. SiteGround provides slightly more expensive hosting packages, but this price increase is reflected in the high-performance servers and 99.9% website uptime rate. Impressively, SiteGround has 24/7 WordPress specific support, a 1-click WordPress install, and automatic WordPress updates. Shared Hosting – From $3.95 to $11.95 a month. WordPress Hosting – From $3.95 to $11.95 a month. Dedicated Hosting – From $269 to $729 a month. SiteGround also provides WooCommerce, Cloud, and Enterprise hosting. If you are looking for more WordPress specific hosting, WPEngine may be for you. A step up again in price, this hosting company provides WordPress hosting to websites across the globe, from small business to corporate giants. So, how much will it cost you? Shared Hosting – From $35 to $290 a month. Dedicated Hosting – Prices available upon request. As you can see, WPEngine, although more expensive than Bluehost or SiteGround, won’t break the bank. So if you require a WordPress hosting company, WPEngine is a great, well-priced option. WordPress VPS Hosting – From $299 to $2249 a month. Enterprise Plan – Starting at $2500 a month for a preconfigured plan, or $5000+ a month for a custom plan. Evidently, Pagely is aimed at big business. It aims to provide all the extra performance and security features that global corporations need, hence the price tag. We have only touched the service of hosting services, so if you want further information on the packages and plans available for WordPress websites, check out our article on Best WordPress Hosting 2018. Cost of Hosting a WordPress Website: Anywhere between $2.95 and $5000+ a month. So far, we have covered the essential outlays of running a WordPress website – the domain name and hosting. This can cost you as little as $2.95 a month (if you opt for a Bluehost hosting plan which includes a free domain). As far as creating a WordPress website, there are no other mandatory outgoings. The WordPress repository provides thousands of themes that can be installed and used for free on your WordPress website. Whether you want to create a fitness website, food blog, directory site, eCommerce store, or something else, you will find a free theme here to suit to your needs. It is also worth noting that the WordPress free themes are high-quality. All themes have had to pass stringent tests on performance, security, and more, before being added to the repository. So, although the theme is free, it is still built to a high-spec. Why Purchase a Premium Theme? Support and Updates – Premium themes often provide extensive support, customer care, and regular updates that you just won’t get with a free theme. Features and Customization Options – The majority of premium themes come with way more features and customization options, enabling you to create a site that reflects your brand. Premium Plugins – Premium themes often ship with a package of premium plugins, included in the price. Therefore, buying a premium theme can often work out cheaper than installing a free theme and then buying extra plugins individually. When choosing a premium WordPress theme, always read the theme specs and reviews so you know what you are getting. Not all premium themes are the same high quality, so do your research. ThemeForest is the go-to theme shop for WordPress themes, selling a wide range of stunning themes for all industries. Themes generally cost between $20 – $100, averaging at around $60. Avada is the most popular selling WordPress theme on ThemeForest and will cost you a one-off payment of $60, which includes free life-time updates. Elegant Themes is a renown theme shop that designs and sells its own beautiful themes. It’s stand out theme is Divi, a multipurpose theme that can be used to create any style of site. Yearly access to the Elegant Themes ‘Theme Club’ will cost you $89 a year and give you unlimited access to all of its themes, plugins, and support. Studio Press is another theme shop that sells a mixture of its own designs and third party themes. Each theme cost a fixed sum of $129.99. You can also pay a web developer to create a custom WordPress theme for you. We will cover the price of this further on in the article. Cost of a WordPress Theme: Between $0 and $100+. To add extra functionality to your WordPress website you may need to install a number of plugins. There are some extremely effective free WordPress plugins, and these can all be found and downloaded from the WordPress repository. However, if you are looking to create a website with advanced functionality, you should consider purchasing premium plugins. Premium plugins differ greatly in price, so the amount you end up spending will depend solely upon the number and type of plugins that you buy. Elementor Page Builder ($49 one-off payment) – A drag and drop visual builder, Elementor enables you to customize your website, without having to touch a line of code. OptinMonster (Between $14 to $69 a month) – Generate leads, convert traffic, and monetize your website with this pop-up creation plugin. Slider Revolution ($26 one-off payment) – The number one selling slider plugin on CodeCanyon, Slider Revolution will enable you to display beautiful images or videos in a slider or carousel format on your website. VaultPress (Between $39 and $299 a year) – A high-end backup and security plugin, VaultPress will enable you to keep your site safe and secure. Cost of WordPress Plugins: Anything between $0 and upwards, depending on the plugins that you choose to purchase. There are, of course, many other potential costs of creating a WordPress website. Many of these extra costs will be relevant to big companies, or to entrepreneurs trying to grow their business. However, for individuals just starting out, or for those on a budget, I wouldn’t recommend that you pay out for any of the services mentioned below. A web agency can design you a custom coded website, customize and improve your chosen pre-built theme, work on your logo and branding, and much more. This will save you time and ensure your website is professional, user-friendly, optimized for the search engines, and more. However, it will cost you, with fees starting from around $1000 (depending on the job), and running into tens of thousands. Writing content for your website, and especially publishing regular blog posts for your site, can be difficult and time-consuming. Hiring a freelance writer to write your content for you can free up your time to work on other areas of your business, whilst ensuring that your content connects with your audience. Prices for content vary widely, with anything from $100 (for 1000 words) upwards. If you aren’t too clued up on the backend of WordPress and don’t want the headache of on-going maintenance issues, you can pay someone to do this for you. Again, prices vary, but a monthly maintenance package will cost around $50+. Stunning images can dramatically improve the look of your website and help grab your users attention. Although there are plenty of free stock images on the web that you can use on your website, if you want your site’s images to stand out from the crowd you should consider signing up to a premium service like Shutterstock. This will cost you from as little as $29 a month. If you are struggling to rank in the search engines then you may want to hire an SEO expert. They will help optimize your site and content for the web. Prices start at around $100 an hour. Building an online presence is another task that can be a huge time drain. So hiring a freelancer to take care of your social media marketing can be the way to go. Websites like PeoplePerHour and Upwork can be great places to connect with the right freelancer for you. Depending on experience, fees can start from as little as $10 an hour. Equally, you may want to simply use a social media automation tool to help grow your social media following. For more information on effective social media tools and their pricing, check out our article on Best Social Media Management Tools 2018. As you can see, there are many ‘extra’ costs involved with running a WordPress website that can very quickly add up. However, remember, none of these extras are essentials! It is virtually impossible to put a total cost on creating and running a WordPress website. The costs involved will very much depend on the type of site you want to create, the tools you decide to use, and the extra services you opt to pay for. Any additional services, like design or copywriting fees, will of course cost extra. As you can see, the cost of a basic WordPress website is extremely cheap. And, if you want to scale your website as your business grows, the tools and services are all available to purchase as and when you need. The cost of a website varies greatly depending on the solution you use to create your website, the type of site you create, and the features and tools you need. All of the solutions we have mentioned in this article are great choices for designing and running a website. And ultimately, your choice will come down to what best suits your project.